Describe some ways that climate change has been an important part of Earth history. Discuss what factors can cause climate to change and which of these can be exacerbated by human activities. Discuss the consequences of rising greenhouse gas levels in the atmosphere, the impacts that are already being measured, and the impacts that are likely to occur in the future. What impacts could a changing climate have on local, regional, and international social, economic, and geopolitical stability? Should global environmental issues like climate change be resolved by individuals, nations, or international institutions like the United Nations? What is your worldview on global environmental issues and how they should be addressed? For the past two centuries, climate has been relatively stable. People placed their farms and cities in locations that were in a favorable climate without thinking that the climate could change. But climate has changed throughout Earth history, and a stable climate is not the norm. In recent years, Earth’s climate has begun to change again. 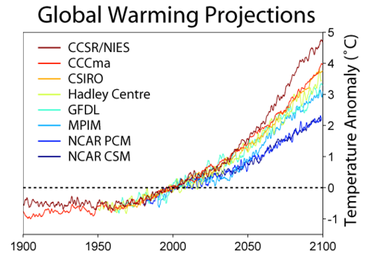 Most of this change is warming because of human activities that release greenhouse gases into the atmosphere. The effects of warming are already being seen and will become more extreme as temperature rise. Climate has changed throughout Earth history. Much of the time Earth's climate was hotter and more humid than it is today, but climate has also been colder, as when glaciers covered much more of the planet. The most recent ice ages were in the Pleistocene Epoch, between 1.8 million and 10,000 years ago. Glaciers advanced and retreated in cycles, known as glacial and interglacial periods. With so much of the world’s water bound into the ice, sea level was about 125 meters (395 feet) lower than it is today. Many scientists think that we are now in a warm, interglacial period that has lasted about 10,000 years. Social scientists believe that modern agriculture and civilization began about 10,000 years ago, around the time the recent interglacial period began. At this time, humans started influencing local and regional climates and ecosystems by diverging water systems, deforestation, desertification, and environmental pollution. Scientific data is starting to show that even human manipulation of geologic and ecological processes at local and regional scales also influenced global geosystems of the planet ranging from carbon dioxide levels, degradation of ecosystems, and extinction of species. Geologists tend to divide the earth's 4.6 billion year geologic history into eras, periods, and epochs to represent age. Currently we are in the Holocene epoch, which is the geologic time that reflects human and human impact on the Earth. Yet technology is now allowing humans to be a geologic force on the planet. This has caused great debate in the scientific community if we need to consider a new epoch called the Anthropocene epoch. During this interglacial period of the Holocene, the global climate has been relatively mild with various short-term climate variations for civilizations to grow. For the past 2,000 years, climate has been relatively mild and stable when compared with much of Earth’s history. Why has climate stability been beneficial for human civilization? Stability has allowed the expansion of agriculture and the development of towns and cities. Fairly small temperature changes can have major effects on global climate. The average global temperature during glacial periods was only about 5.5 degrees C (10 degrees F) less than Earth’s current average temperature. Temperatures during the interglacial periods were about 1.1 degrees C (2.0 degrees F) higher than today. Since the end of the Pleistocene, the global average temperature has risen about 4oC (7oF). Glaciers are retreating and sea level is rising. While climate is getting steadily warmer, there have been a few more extreme warm and cool times in the last 10,000 years. Changes in climate have had effects on human civilization. The Medieval Warm Period from 900 to 1300 A.D. allowed Vikings to colonize Greenland and Great Britain to grow wine grapes. The Little Ice Age, from the 14th to 19th centuries, the Vikings were forced out of Greenland and humans had to plant crops further south. Short-term changes in climate are common. 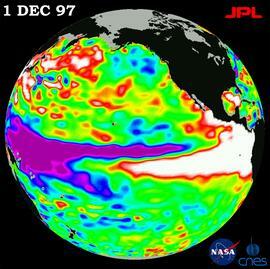 The largest and most important of these is the oscillation between El Niño and La Niña conditions. This cycle is called the ENSO (El Niño southern oscillation). The ENSO drives changes in climate that are felt around the world about every two to seven years. In a normal year, the trade winds blow across the Pacific Ocean near the equator from east to west (toward Asia). A low pressure cell rises above the western equatorial Pacific. Warm water in the western Pacific Ocean and raises sea levels by one-half meter. Along the western coast of South America, the Peru Current carries cold water northward, and then westward along the equator with the trade winds. Upwelling brings cold, nutrient-rich waters from the deep sea. In an El Niño year, when water temperature reaches around 28 degrees C (82 degrees F), the trade winds weaken or reverse direction and blow east (toward South America). Warm water is dragged back across the Pacific Ocean and piles up off the west coast of South America. With warm, low-density water at the surface, upwelling stops. Without upwelling, nutrients are scarce and plankton populations decline. Since plankton form the base of the food web, fish cannot find food, and fish numbers decrease as well. All the animals that eat fish, including birds and humans, are affected by the decline in fish. By altering atmospheric and oceanic circulation, El Niño events change global climate patterns. Some regions receive more than average rainfall, including the west coast of North and South America, the southern United States, and Western Europe. Drought occurs in other parts of South America, the western Pacific, southern and northern Africa, and southern Europe. An El Niño cycle lasts one to two years. Often normal circulation patterns resume. Sometimes circulation patterns bounce back quickly and extremely, and is called La Niña. In a La Niña year, as in a normal year, trade winds moves from east to west and warm water piles up in the western Pacific Ocean. Ocean temperatures along coastal South America are colder than normal (instead of warmer, as in El Niño). Cold water reaches farther into the western Pacific than normal. Click here for an online guide to El Niño and La Niña events from the University of Illinois. Other important oscillations are smaller and have a local, rather than global, effect. The North Atlantic Oscillation mostly alters climate in Europe. The Mediterranean also goes through cycles, varying between being dry at some times, and warm and wet at others. The ABC News video explores the relationship of El Niño to global warming. in the amount of energy the Sun produces over years. in the positions of the continents over millions of years. in the tilt of Earth's axis and orbit over thousands of years. that are sudden and dramatic because of random catastrophic events, such as a large asteroid impact. in greenhouse gases in the atmosphere, caused naturally or by human activities. The amount of energy the Sun radiates is variable. 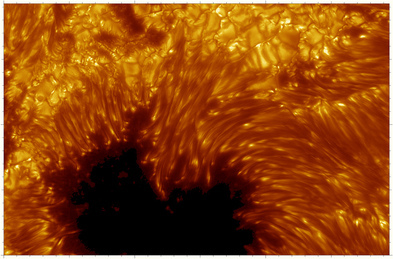 Sunspots are magnetic storms on the Sun’s surface that increase and decrease over an 11-year cycle. When the number of sunspots is high, solar radiation is also relatively high. But the entire variation in solar radiation is tiny relative to the total amount of solar radiation that there is and there is no known 11-year cycle in climate variability. The Little Ice Age corresponded to a time when there were no sunspots on the Sun. Plate tectonic movements can alter climate. Over millions of years as seas open and close, ocean currents may distribute heat differently. For example, when all the continents are joined into one supercontinent (such as Pangaea), nearly all locations experience a continental climate. When the continents separate, heat is more evenly distributed. 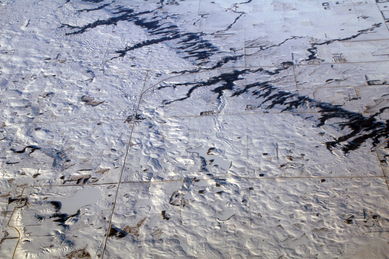 Plate tectonic movements may help start an ice age. When continents are located near the poles, ice can accumulate, which may increase albedo and lower global temperature. Low enough temperatures may start a global ice age. 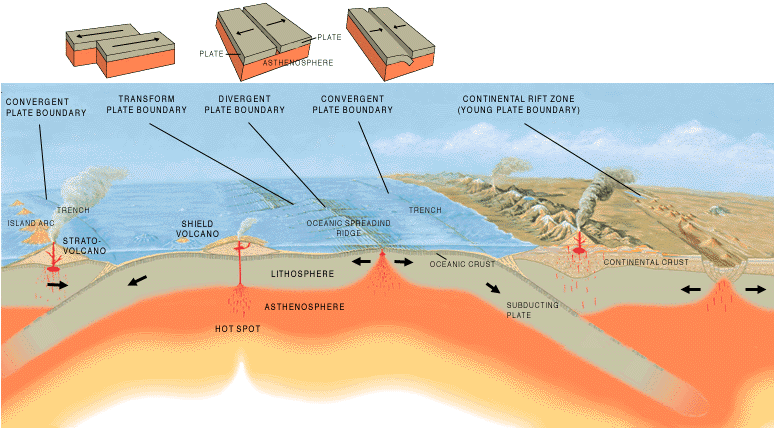 Plate motions trigger volcanic eruptions, which release dust and CO2into the atmosphere. 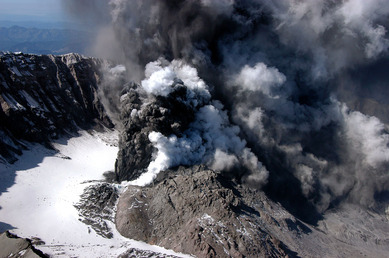 Ordinary eruptions, even large ones, have only a short-term effect on weather. Massive eruptions of the fluid lavas that create lava plateaus release much more gas and dust, and can change climate for many years. This type of eruption is exceedingly rare; none has occurred since humans have lived on Earth. 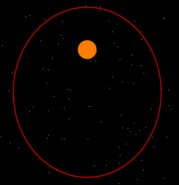 The shape of the Earth's orbit changes slightly as it goes around the Sun. The orbit varies from more circular to more elliptical in a cycle lasting between 90,000 and 100,000 years. When the orbit is more elliptical, there is a greater difference in solar radiation between winter and summer. The planet wobbles on its axis of rotation. At one extreme of this 27,000 year cycle, the Northern Hemisphere points toward the Sun when the Earth is closest to the Sun. Summers are much warmer and winters are much colder than now. 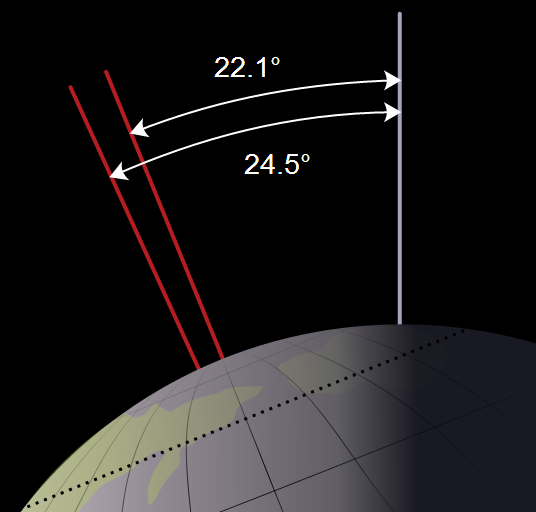 At the opposite extreme, the Northern Hemisphere points toward the Sun when it is farthest from the Sun. This results in chilly summers and warmer winters. The planet’s tilt on its axis varies between 22.1 degrees and 24.5 degrees. 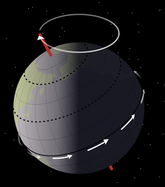 Seasons are caused by the tilt of Earth's axis of rotation, which is at a 23.5o angle now. When the tilt angle is smaller, summers and winters differ less in temperature. This cycle lasts 41,000 years. When these three variations are charted out, a climate pattern of about 100,000 years emerges. Ice ages correspond closely with Milankovitch cycles. Since glaciers can form only over land, ice ages only occur when landmasses cover the polar regions. Therefore, Milankovitch cycles are also connected to plate tectonics. Since greenhouse gases trap the heat that radiates off the planet’s surfaces what would happen to global temperatures if atmospheric greenhouse gas levels decreased? What if greenhouse gases increased? A decrease in greenhouse gas levels decreases global temperature and an increase raises air temperature. When plants are turned into fossil fuels the CO2 in their tissue is stored with them. So CO2 is removed from the atmosphere. What does this do to Earth’s average temperature? What happens to atmospheric CO2 when the fossil fuels are burned? What happens to global temperatures? Fossil fuel use has skyrocketed in the past few decades more people want more cars and industrial products. This has released CO2 into the atmosphere. Burning tropical rainforests, to clear land for agriculture, a practice called slash-and-burn agriculture, also increases atmospheric CO2. By cutting down trees, they can no longer remove CO2 from the atmosphere. Burning the trees releases all the CO2 stored in the trees into the atmosphere. There is now nearly 40% more CO2 in the atmosphere than there was 200 years ago, before the Industrial Revolution. About 65% of that increase has occurred since the first CO2 measurements were made on Mauna Loa Volcano, Hawaii, in 1958 (Figure below). Methane: released from raising livestock, rice production, and the incomplete burning of rainforest plants. Chlorofluorocarbons (CFCs): human-made chemicals that were invented and used widely in the 20th century. Tropospheric ozone: from vehicle exhaust, it has more than doubled since 1976. Many in society question whether humans have the ability to dramatically change Earth's climate systems, even though most don't argue that we are deforesting the worlds rain forests, have the technology to remove mountain tops for mining, and that humans were able to put a massive hole in the ozone layer. In the scientific community, the debate as to whether humans are changing the planet's climate is hardly exists. The scientific consensus is clear that the majority of climate scientists, called climatologists, agree that humans have had a dramatic impact on Earth's climate in the last 100 years. There are a variety of causes as to why humans are greatly influencing global climate patterns. 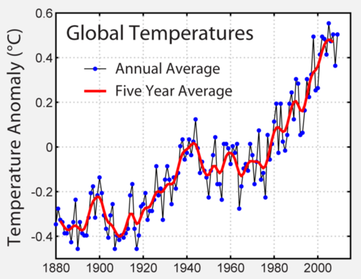 With more greenhouse gases trapping heat caused by human activity, average annual global temperatures are rising. This is known as anthropogenic climate change or more commonly called global warming. While temperatures have risen since the end of the Pleistocene, 10,000 years ago, this rate of increase has been more rapid in the past century and has risen even faster since 1990. The nine warmest years on record have all occurred since 1998, and the 10 of the 11 warmest years have occurred since 2001 (through 2012). The 2000s were the warmest decade yet. Annual variations aside, the average global temperature increased about 0.8 degrees C (1.5 degrees F) between 1880 and 2010, according to the Goddard Institute for Space Studies, NOAA. This number doesn’t seem very large. Why is it important? The United States has long been the largest emitter of greenhouse gases, with about 20% of total emissions in 2004. As a result of China’s rapid economic growth, its emissions surpassed those of the United States in 2008. However, it’s also important to keep in mind that the United States has only about one-fifth the population of China. What’s the significance of this? The average United States citizen produces far more greenhouse gases than the average Chinese person. An animation of CO2 released by different fossil fuels is seen here: CO2 release by different fossil fuels. If nothing is done to decrease the rate of CO2 emissions, by 2030, CO2 emissions are projected to be 63% greater than they were in 2002. National Geographic has a series of videos on global warming and it's impacts on the planet. 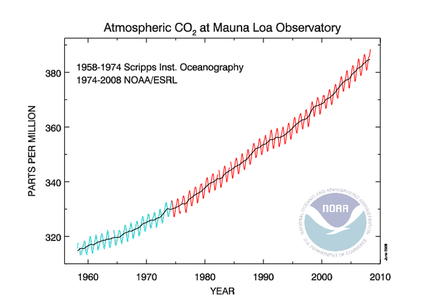 The amount CO2 levels will rise in the next decades is unknown. What will this number depend on in the developed nations? What will it depend on in the developing nations? In the developed nations it will depend on technological advances or lifestyle changes that decrease emissions. In the developing nations, it will depend on how much their lifestyles improve and how these improvements are made. Computer models are used to predict the effects of greenhouse gas increases on climate for the planet as a whole and also for specific regions. 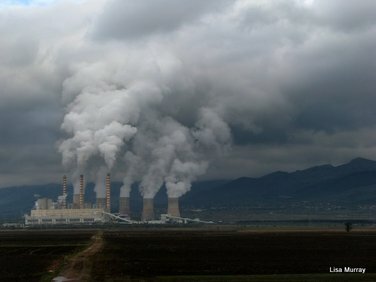 If nothing is done to control greenhouse gas emissions and they continue to increase at current rates, the surface temperature of the Earth can be expected to increase between 0.5 degrees C and 2.0 degrees C (0.9 degrees F and 3.6 degrees F) by 2050 and between 2 degrees and 4.5 degrees C (3.5 degrees and 8 degrees F) by 2100, with CO2 levels over 800 parts per million (ppm). On the other hand, if severe limits on CO2 emissions begin soon, temperatures could rise less than 1.1 degrees C (2 degrees F) by 2100. Whatever the temperature increase, it will not be uniform around the globe. A rise of 2.8 degrees C (5 degrees F) would result in 0.6 degree to 1.2 degree C (1 degree to 2 degree F) at the equator, but up to 6.7 degree C (12 degree F) at the poles. So far, global warming has affected the North Pole more than the South Pole, but temperatures are still increasing at Antarctica. The timing of events for species is changing. Mating and migrations take place earlier in the spring months. Species that can are moving their ranges uphill. Some regions that were already marginal for agriculture are no longer farmable because they have become too warm or dry. Plant and animal species seeking cooler temperatures will need to move poleward 60 to 90 miles or upward 500 feet for each 1.0 degree C (8 degree F) rise in global temperature. There will be a tremendous loss of biodiversity because forest species can’t migrate that rapidly. Biologists have already documented the extinction of high-altitude species that have nowhere higher to go. Check out the animation titled Modeled Climate Induced Glacier change in Glacier National Park 1850-2100 and analyze the two major effects that can be seen. 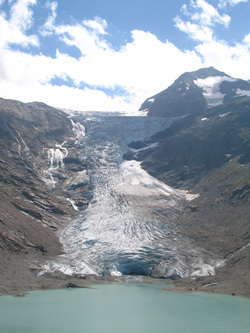 Glaciers are melting and vegetation zones are moving uphill. 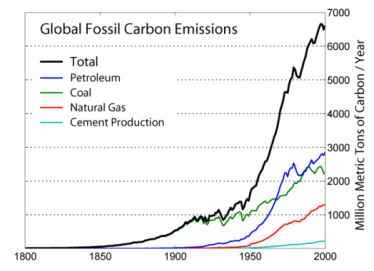 If fossil fuel use exploded in the 1950s, why do these changes begin early in the animation? Does this mean that the climate change we are seeing is caused by natural processes and not by fossil fuel use? Here is another animation from NASA showing temperature anomalies for 5- and 10-year periods. As greenhouse gases increase, changes will be more extreme. Oceans will become slightly more acidic, making it more difficult for creatures with carbonate shells to grow and that includes coral reefs. A study monitoring ocean acidity in the Pacific Northwest found ocean acidity increasing ten times faster than expected and 10% to 20% of shellfish (mussels) being replaced by acid tolerant algae. Sea levels are also expected to expand for two important reasons. First is the obvious one, where melting of inland glaciers into the oceans will lead to rising sea levels. But it's important to note that in order for sea levels to rise because of glacial melt, those glaciers must be on land and on floating in the ocean. This is because glacial melt on land adds water to the oceans, floating glaciers, icebergs, float on water and their melting will not add more water to the oceans. 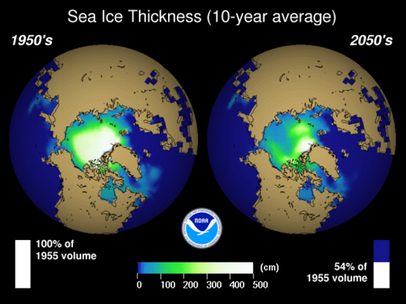 A major reason for this is called isostacy, where nearly 80 percent of the floating ice is underneath the water, and only 20 percent is above water. Here's an experiment to test this. Fill a glass of water almost to the top the of the glass and then add a cube of ice and let it melt. Most likely it will cause the water to spill over the glass. Now put an ice cube in a glass and fill the glass with water to the top. Now let the ice melt. The water will not overflow because the ice cubes were already in the water and taking up volume as you filled the glass up. Another cause of rising sea levels is because of simple physics of water. When water warms up to a certain point, it will actually begin to expand, a process called thermal expansion. So even if the land ice didn't melt into the oceans, sea levels would still rise worldwide just because the oceans warm up from climate change, causing them to thermally expand. Decreased snow packs, shrinking glaciers, and the earlier arrival of spring will all lessen the amount of water available in some regions of the world, including the western United States and much of Asia. Ice will continue to melt and sea level is predicted to rise 18 to 97 cm (7 to 38 inches) by 2100. An increase this large will gradually flood coastal regions where about one-third of the world's population lives, forcing billions of people to move inland. Weather will become more extreme with heat waves and droughts. Some modelers predict that the Midwestern United States will become too dry to support agriculture and that Canada will become the new breadbasket. In all, about 10% to 50% of current cropland worldwide may become unusable if CO2 doubles. Although scientists do not all agree, hurricanes are likely to become more severe and possibly more frequent. Tropical and subtropical insects will expand their ranges, resulting in the spread of tropical diseases such as malaria, encephalitis, yellow fever, and dengue fever. It is partly because scientists cannot predict exactly how the Earth will respond to increased levels of greenhouses gases. How quickly greenhouse gases continue to build up in the atmosphere depends in part on the choices we make. The effects of climate change is becoming more clear, lead by mathematical models, satellite data, and other scientific data. If you would like more information on climate change, NASA's Vital Signs of the Planet, the scientific journal Nature, the World Meteorological Organization, and the Intergovernmental Panel on Climate Change (IPCC) are just a few scientifically driven sources of informatoin on this topic.